When Eric Dahl purchased a Gibson guitar at a Las Vegas pawnshop in 2009, little did he think it would lead to a copyright battle with Toyota Motor Sales USA Inc. Having paid nearly $2,200 for the B.B. King Lucille model, Dahl then discovered it was the original “Prototype 1” ES-355 model that the guitar company had presented to the blues legend on his 80th birthday in 2005. 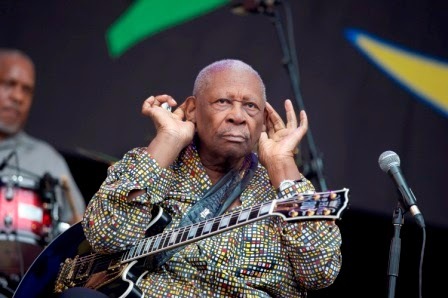 King had performed with the guitar until the summer of 2009, when it was stolen from his home. The Las Vegas Review-Journal tells us that In November 2009, Dahl went to King’s office in Las Vegas to return the guitar. To show his appreciation, King autographed another Gibson Lucille and gave it to Dahl during the meeting. All great so far!